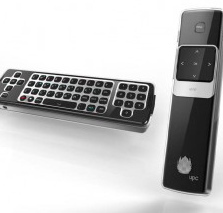 As expected Liberty Global CEO Mike Fries used his IBC address to reveal the new Horizon set-top box, which will be rolled out first on UPC Netherlands’ network in the first quarter of next year. Liberty Global will work with YouTube, Facebook, Twitter and others to develop applications for a standards-based app store, offering apps and widgets that customers will be able to download to their Horizon boxes. About 60 content partners have already developed apps for the new platform. Beyond the STB Horizon will deliver content to iPad and other tablets soon. However, Fries pointed out this wouldn’t be away from home, where rights issues currently get in the way.